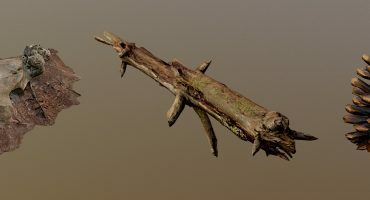 Tutorial 16 | Importing Cinema4D models into Sketchfab.com from Eugene Opperman on Vimeo. Thanks Eugene, and welcome to all our C4D users! Here is a bit more info for manual export: edit all that can be edited: Boolean symmetries HyperNurbs, everything must be passed polygonal. Then, for each polygonal object, click the Object menu (in the Object Manager) and choose Conform object. A window appears. Check illumination (if you rigged lighting) and unique texture, set the texture size (bigger is, the better the result, the longer the conformation). Choose a path and format, choose jpeg. Then click Conform. Repeat for each object. You can also connect + delete your polygonal objects to do at once, but the result may be less good. UV unfolding performed correctly is preferable, but not mandatory. Then select the object or objects created, copy (ctrl + C or Command + C), create a new scene and paste. For each material, copy the image channel in the channel luminescence color and luminescence disable the channel. On the File menu, save the project and then export your scene format Collada 1.4. Unzip the folder and send it obtained on the platform.